2017 is shaping up to be one of the best years yet for the tourism and film industries in Virginia. Two sisters are launching a new reason to visit Alexandria, already a destination for craft beer lovers, with the opening of pre-Prohibition inspired Portner Brewhouse. Catherine and Margaret Portner are honoring their great-great grandfather’s legacy 100 years later by brewing up historic family recipes from Alexandria’s Robert Portner Brewing Co., the largest pre-Prohibition brewery in the South. Portner Brewhouse, which opens its doors in January 2017, also serves contemporary German-American cuisine and offers the public a chance to taste and rate home-brewed recipes in the Craft Beer Test KitchenTM. In the spring of 2017, Meggrolls-“eggrolls with a personality”-which has earned a cult following with its food truck in D.C. will move into an Alexandria Old Town storefront. Perched atop The Graduate Hotel in Charlottesville is the new Heirloom restaurant. Heirloom celebrates its homegrown roots and colorful past, basking in a hint of farm-life folklore and charm. Dishes feature local producers with a keen focus on native Virginia agriculture and wildlife. The menu pays homage to heirloom plants and Thomas Jefferson’s commitment to seed collecting and exchange to preserve homegrown varieties. At Colonial Williamsburg’s Taste Studio, a full-service demonstration kitchen, Colonial Williamsburg’s executive chefs have partnered with their historic gardeners to offer a unique look at the culinary story of America’s first foodies. Visitors can take a 45-minute walking tour through the historic gardens; then experience a tasting of historic flavors that come from the garden to the table. In Lynchburg, Locust Thicket, a historic 1790 Manor House has been restored and is now open as a restaurant. Steeped in early American history, Locust Thicket was built circa 1790 by Major Samuel Beverly Scott upon his discharge from George Washington’s Revolutionary Army. This historic plantation manor house has witnessed and survived the turning of three centuries, a legal battle between Major Scott and his neighbor Thomas Jefferson, and the frontline of The Battle of Lynchburg in the War between the States in 1864. The current owners invite today’s citizens back to Locust Thicket and to share in its “living history” through the various hospitality, food and beverage tourism and special event offerings. Coming to Tysons Corner in 2017, Isabella Eatery will be an unprecedented new dining experience created by award-winning D.C. chef and restaurateur Mike Isabella. The 41,000-sq-ft food hall will feature 9 distinctive eateries. Also on the horizon is a much anticipated new restaurant from Premier Chef Travis Milton. Shovel and Pick will be a part of the Sessions Hotel complex in Bristol and will reside in the old granary mill portion of the project. The Sessions Hotel is slated to open in early 2018. 2017 is a great year to visit Virginia’s Oyster Trail with The Urbanna Oyster Festival, the oldest oyster festival in the U.S., celebrating its 60th anniversary in November and The Tides Inn, one of the Chesapeake’s finest luxury properties celebrating its 70th anniversary. Both locations promise exciting new events in 2017 to honor their celebrations! Slated to open soon in Loudoun County are Bozzo Family Vineyards and the Wine Reserve at Waterford. The Wine Reserve will feature a tasting room with breathtaking views of the mountains and serve a variety of wines from small, family owned vineyards in Virginia and beyond. Also in 2017, Greenhill Winery & Vineyard is slated to open a new production facility and a two-story, equestrian-themed, barn-style Tasting Room & Terrace, complete with outdoor seating and event space. The craft beer industry in Virginia has also grown quickly from just a handful of breweries a couple of years ago to more than 160 now, with more to open in 2017. Hardywood, which helped put Richmond on the craft beer map, has been so successful they are opening another larger brewery in Richmond and a brewery in Charlottesville. Manassas will have another brewery early this year, Two Silo’s Brewing, as will Floyd with Buffalo Mountain Brewery. Tucked away on Market Street in Leesburg (and expanding in 2017, opening a 10 barrel brewery and tasting room), Crooked Run Brewing is making lasting impressions around the globe. Crooked Run took home gold at the 2016 World Beer Cup, the most prestigious beer competition in the world, for the microbrewery’s Supernatural brew in the “Other Belgian-Style Ale” category. The international blind tasting had 6,596 entries with over 1,900 breweries entering from 55 countries. Lost Rhino of Ashburn also fared well, taking home silver for their Rhinofest fall seasonal brew in the “German-Style Maerzen” category. Other Virginia breweries to take home metals included Roseland’s Devils Backbone, Harrisonburg’s Pale Fire Brewing and Norfolk’s O’Connor Brewing. Virginia won the fifth-most medals of any state after California, Colorado, Oregon and Pennsylvania. Now there’s a new way to ‘drink in’ the Shenandoah Valley! The Shenandoah Beerwerks Trail connects 12 breweries all within an hour’s drive. The new trail pairs the craft beer experience with a combination of activities and attractions that uniquely reflect the region’s recreational and cultural activities – like biking and hiking! Richmond Region Tourism and 23 Richmond Region craft breweries have partnered to offer visitors a fun way to experience the area’s booming craft beer scene. Using the Richmond Beer Trail map as a guide, visitors are encouraged to “track and taste the trail” by collecting stamps at the breweries they visit. Five stamps on the map earns participants a limited-edition item that can be collected at the fifth brewery. Beginning soon, participants will earn a Richmond Beer Trail hat. Maps are available at Richmond Region breweries, Richmond Region Visitor Centers and can be downloaded at RichmondBeerTrail.com. Another craft beverage making a comeback in Virginia is mead, one of the most historic fermented drinks found on Earth. It has the creativity of craft beer and the elegance of wine, but is in a category all its own. The Silver Hand Meadery in Williamsburg offers daily honey tastings and mead flights. Virginia’s 25 distilleries and growing are crafting everything from traditional moonshine to award-winning bourbon. Ironclad Distillery is now brewing small-batch bourbon in the City of Newport News and will open a new tasting room in 2017. The company, the first craft distillery in revitalized downtown Newport News, sources one-hundred percent of its corn, wheat, and rye needs from Virginia agricultural producers. Falls Church Distillers will add a new spirits experience to Fairfax County’s repertoire when it opens in 2017. The distiller will offer vodka, gin, whiskey and more. Old House Vineyards will open a new craft distillery called Old House Distillery on their family farm in Culpeper County. The company, recognized as one of only a few joint winery and distillery operations in Virginia, will source 82 percent of its grain, grapes, and honey from Virginia agricultural producers. The Commonwealth of Virginia is partnering with Culpeper County and Old House Vineyards on this project through the Governor’s Agriculture and Forestry Industries Development Fund (AFID). Springfield Distillery, the first craft distillery in Halifax, Virginia will source one-hundred percent of its corn and barley needs from Virginia agricultural producers when it opens later this year. The new distillery is another project supported through AFID and is located on the historic Springfield Farm, built in 1842. The new craft distillery will serve as the central attraction to an agritourism operation that will feature log cabin lodging, farm-to-table dinners, and whiskey tasting and production classes. Providing an easy way to try a small sample of all of Virginia’s fabulous craft beverages is the new Williamsburg Tasting Trail. From award-winning wine and micro-brewed beers to ancient mead and distilled spirits, experience the best of handcrafted alcoholic beverages throughout Greater Williamsburg. Capital Bikeshare is now available in Fairfax County. The popular bike sharing system found previously only in Arlington, Alexandria and Washington DC makes it easy and inexpensive to rent a bike and ride the many bike trails in Northern Virginia. Capital Bikeshare has added 15 stations in Reston and 11 stations in Tysons Corner, making Fairfax County more accessible than ever, as well as making it easy to stay in Fairfax County, Arlington or Alexandria and bike along the Potomac and into D.C.
Massanutten Resort, located outside of Harrisonburg, VA, is now home to some of the newest and best mountain bike trails on the east coast. The resort has been hosting Cross-Country and Downhill Mountain bike races since 1989 including the 1997 UCI DH World Cup. The new bike park is a nice complement to the already popular cycling options in the Shenandoah Valley and is a natural extension of the resort’s zip line and climbing attractions. The resort also is celebrating its 45th ski season in 2017 and has added many new amenities! mark the event with special celebrations all year in addition to the annual Virginia Creeper Fest, April 8, 2017 where Abingdon celebrates the legendary Virginia Creeper Trail and all things outdoors with a spring festival at the Abingdon trailhead. Ella Fitzgerald, nicknamed First Lady of Song, was born in Newport News Virginia on April 25, 1917. Ella was the first African-American female to win a Grammy and went on to win a total of 13 Grammy’s and sell more than 40 million albums. In honor of what would have been Ella’s 100th birthday, Downing-Gross Cultural Arts Center in Newport News is hosting a year-long celebration in her memory. Reflections: 100 Years of Ella pays homage to Newport News’ beloved native daughter with a series of performances and events that tell the story of her extraordinary legacy. Visit www.downing-gross.org for additional details. 2017 marks the 90th anniversary of the historic Bristol Sessions – the event that earned Bristol the official title of Birthplace of Country Music. The city and the Birthplace of Country Music Museum will feature special events and activities all year to celebrate. What does it mean to be a family? That is the question posed by Richmond, Virginia’s Valentine Museum and OutRVA, Richmond’s LGBT tourism campaign, in a new exhibition One Love: LGBT Families, on view now through September 4, 2017. The exhibit features contemporary photographic portraits of Lesbian, Gay, Bisexual and Transgender (LGBT) families from the Richmond Region. Richmond photographer Michael Simon captured images of the families at various locations throughout the Region. Each spring, the National Cherry Blossom Festival in Washington DC celebrates the gift of the cherry blossom trees. Virginia also welcomes visitors to over 250 of Virginia’s most beautiful gardens, homes and historic landmarks during Historic Garden Week, an 8-day statewide event providing visitors a unique opportunity to see unforgettable gardens at the peak of Virginia’s springtime color. April 2017 marks the 90th anniversary of Virginia’s Historic Garden Week. The beginning of Historic Garden Week dates to 1927, when a flower show organized by the Garden Club of Virginia raised an impressive $7,000 to save some of the trees planted by Thomas Jefferson on the lawn at Monticello. The world’s premier collection of Confederate artifacts at the Museum of the Confederacy and the region’s premier waterfront location at the American Civil War Center at Historic Tredegar will combine to form the American Civil War Museum in Richmond. The new building on the historic Tredegar grounds will have more than 39,000 square feet of space for exhibitions and an experiential theater that will show a film about the fire that destroyed much of the city at the end of America’s Civil War. The new museum is a $30 million project expected to begin construction in 2017. The American Revolution Museum at Yorktown welcomes 2017 visitors in a brand-new 80,000-square-foot building. The Grand Opening Celebration occurs March 23-April 4, 2017. The new museum features an introductory film, timeline, immersive exhibition galleries and living-history experiences that show the epic scale of the Revolution and the richness and complexity of the country’s Revolutionary heritage. Over the course of the 13-day celebration, each day will highlight one of America’s 13 original states in the order that they ratified the Constitution, with a special dedication April 1 for Virginia. The National Museum of the Marine Corps in Prince William County recently launched a seven-year $100-million project to document the service’s history from the end of fighting in Vietnam to this generation’s conflicts in Afghanistan and Iraq. The facility will nearly double in size, growing from 112,000 square feet to 200,000 square feet by 2020. The expansion will come in stages and feature the addition of an IMAX-style movie theater, Marine Sports Hall of Fame, refurbished aircraft and combat vehicles along with a host of new exhibits. The Neon District (New Energy of Norfolk) has transformed decrepit warehouses into creative canvases. Internationally acclaimed artists have been called upon to paint the city, and new murals are popping up in this artsy neighborhood each month. Featuring murals, sculpture, neon installations, and funky winks throughout, the NEON is the center of Hampton Roads’ public art scene. It is also the home to cultural institutions that support both emerging arts and classical high arts, including the Chrysler Museum and Glass Studio, Harrison Opera House, Chrysler Hall, Work | Release, The Push Comedy Theater, Hurrah Players Theater, and more. Here’s two more reasons to visit Norfolk this coming year! The Waterside District, a family-friendly destination filled with exciting eateries and entertainment, is slated to open in spring 2017. The revitalization of the historic Waterside building will change the landscape of the downtown area. Norfolk Premium Outlets, is slated to open next summer and will offer 332,000-square-feet of outlet shopping featuring 90 designer and name-brand stores and a Market Hall with multiple dining options. The Staunton Music Festival will celebrate their 20th Anniversary Season in 2017 with special concerts throughout their 10-day festival including a commissioned piece by Zachary Wadsworth to celebrate the solar eclipse on August 21 as well as several world premieres, including a work by James Madison University’s professor of composition Eric Guinivan and works by German composer-in- residence Moritz Eggert. This year marks the 70th anniversary of the publication of Misty of Chincoteague, the beloved book which tells the story of a family and their very special horse from Chincoteague Island, Virginia. That makes 2017 the perfect year for a visit, as TripAdvisor, the travel planning and booking site, recently announced the winners of its Travelers’ Choice awards for best islands and recognized Virginia’s Chincoteague Island at #9, citing the Chincoteague National Wildlife Refuge as a wonderfully unspoiled spot for bird watching, horseback riding, swimming and biking. Virginia has some incredible places to stay – from award-winning luxury properties to quaint inns and B&Bs. Multiple Virginia hotels have been included in the 2016 U.S. News & World Report Best Hotel rankings. Two properties — The Inn at Little Washington and Primland Resort — were named as best hotels in the United States. Click here for more information and a full list of winners. The Inn at Little Washington also was the ONLY Virginia property to be included in the new Washington DC Michelin food guide – receiving two stars – as many as any DC ranked restaurant. And Primland was recently ranked #17 of the Top 25 Hotels in the U.S. by TripAdvisor and #1 in Virginia by Yahoo Travel. Virginia Beach’s historic and iconic Cavalier Hotel was built in 1927 and is undergoing a $259-million renovation, scheduled for completion in 2017. The plan is to restore the 86-year old Grand Cavalier Hotel on the Hill to its previous five-star experience and create a premier destination for weddings and events. The development will feature a Marriott Signature hotel, a pool complex, spa, fine dining and a distillery. Norfolk will soon feature The Main, a mixed use entertainment facility slated to open at the corner of Main and Granby streets, set to open in spring 2017. The Main will be fully equipped with three new restaurant venues, 50,000 square feet of meeting and learning spaces, and a 23-story luxury Hilton Hotel. Historic Old Town Alexandria will soon have its first waterfront hotel, a Hotel Indigo, opening in 2017. The new property will add to the bustling development of Alexandria’s riverfront district, which includes new restaurants and a new water taxi service linking Alexandria to the monuments and museums of DC’s National Mall. A new Hyatt Place in Arlington’s Courthouse neighborhood opened late in 2016. The 8-storey, contemporary metal and glass Hyatt Place has 161 rooms and a branded hotel bar and restaurant. The developer was committed to achieve LEED Gold Certification – Arlington’s first LEED Gold hotel, and Hyatt’s first LEED Gold Hyatt Place in the United States. The Virginian Hotel will open in 2017 in Lynchburg. The hotel is being restored with an eye to how it looked when it first opened in 1913. But despite looking historically accurate to the period, it will have modern four- to five-star hotel amenities. A brand new luxury hotel recently opened its doors on the property of Trump Winery near Charlottesville. Albemarle Estate offers guests the opportunity to stay at one of the most prestigious and architecturally significant residences in history. Designed by world-famous architect David Easton, Albemarle Estate at Trump Winery is an impressive feat of architecture and style. The amazing service is already securing rave reviews. And on a travel note…Amtrak is expanding service to Roanoke in 2017 making it easier than ever to travel across Virginia by train! Tourism is an instant revenue generator in Virginia. Every dollar invested in Virginia Tourism’s integrated marketing results in $7 of revenue for the Commonwealth. Those marketing dollars are targeting travelers who will visit Virginia, stay longer, and spend more money. 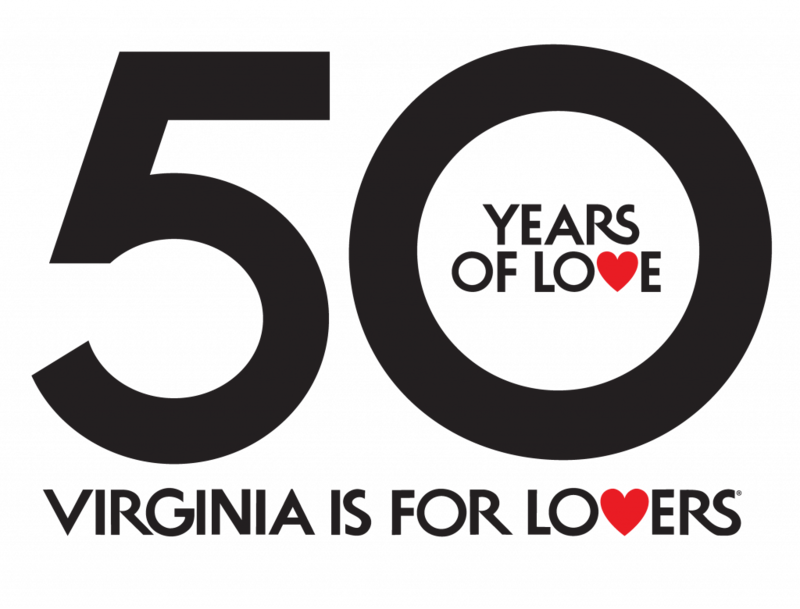 Learn more at virginia.org.